It’s easy to forget that Scrum is not a complete set of processes and tools. The official Scrum guide is only 17 pages long! It is, of course, made that way on purpose. Scrum is a simple framework for complex product delivery. It is the firm belief that simplicity is what you need to deal with and control something complex. All organizations, companies, and people are also unique, one size will not fit all. 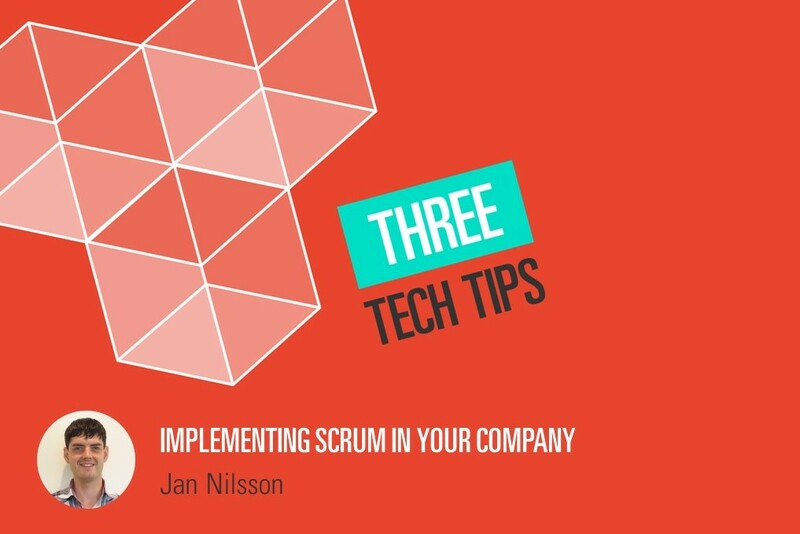 Since Scrum is lightweight, it can be implemented in any environment, even if the organization does not develop software. That is right, Scrum does not mention anything about software, even though it is mostly used in software development. For these reasons, if you are thinking about starting with Scrum in your organization, first check out how others have done it. Remember, Scrum is a framework that is easy to learn, but difficult to master. It is easy to get carried away by all the promises that Scrum offers. Self-organizing teams that create software with high value and quality, frequent deliveries and fast feedback, making stakeholders happy, why wouldn’t we want to implement it in the entire organization right away? As mentioned, Scrum is difficult to master, so if you try to go too fast, the odds are high that the things Scrum promised will not be fulfilled. In the worst case scenario, you might think Scrum is not working in your organization and go back to the old way of working. Instead, start with a team that is eager to try it out. Set all the support into place, a good Scrum Master that can coach the development team, a motivated Product Owner and an organization that serves the team rather the other way around. Make sure the Product Owner owns the Product Backlog and has a good insight into the product. The management should stay clear, and not fall into the temptation to start controlling how the team does the work. If the team is to be empowered and to be self-organized, it is important that they are allowed to succeed (and fail!) on their own. Also, the team needs to have all the knowledge and tools to get a Product Backlog Item from start to finish, without being dependent on others. Before you start up a Scrum team, the best scenario is to have an Agile coach who would lead you on to the right way and help you get all those beautiful things that you were promised. Agile Coach is someone who truly understands what Scrum is all about and helps you realize the potential of the project, team cooperation, and efficient workflow. Agile Coach is a dedicated mentor who helps you get to grips with Scrum and teaches you to experiment by creating a safe environment. Since there is no set guideline in implementing Scrum, you build the process that works effectively for your organization, team by team. Before you know it, the organization is agile! We would love to tell you more about Scrum and Agile, contact us for more information, seminar, or a workshop. Sigma Technology is a part of Sigma and is a global supplier of product information, embedded solutions, and offshore development. We are experts with a passion for technology and information, and take pride in delivering quality and constantly improving our deliveries. Our long-term goal is to provide value and knowledge, contributing to the development of tech community. Therefore, we are going to share the tips and opinions about trending topics in technical writing and software engineering on regular basis.